After waiving C.J. 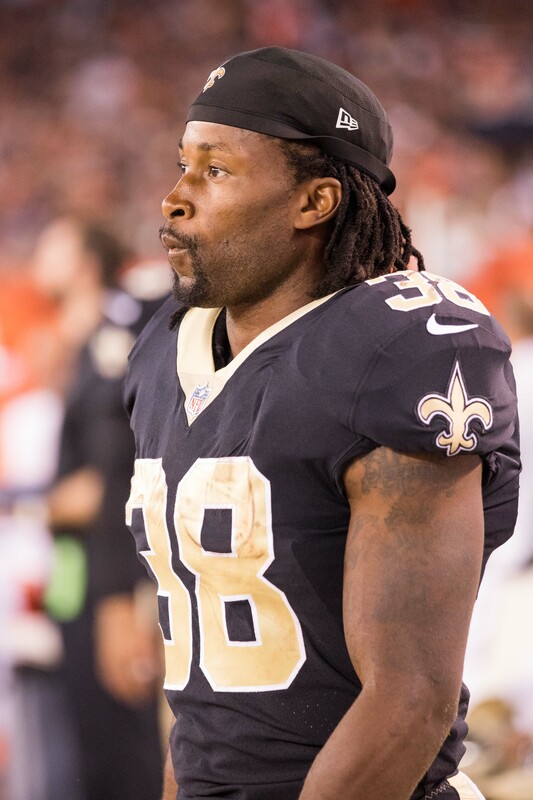 Anderson earlier today, the Panthers decided to add some backfield help by signing veteran Travaris Cadet, a source told Jourdan Rodrigue of the Charlotte Observer (Twitter link). Christian McCaffrey has completely monopolized the backfield touches for the Panthers, so there wasn’t much of a need for Anderson anymore. The moves today signal that the team has complete confidence in McCaffrey, and will continue feeding him a large volume of touches. Anderson had reportedly been expecting a larger role, so the team released him when he wasn’t getting much playing time. There will be no such expectation from Cadet, and he should slide in immediately as the number two. Cameron Artis-Payne was the only running back left behind McCaffrey after the waiving of Anderson, so it makes sense why they’d be looking for help. Cadet spent the first five seasons of his career with the Saints, before latching on with the Bills in 2017. The Bills released him at final cuts this year, and he recently worked out for the Raiders. Cadet is more of a passing-downs back than a between the tackles runner, and he had a couple of productive seasons catching the ball in New Orleans. In 2016 he caught 40 passes for 281 yards and four touchdowns, and also contributes on special teams. The Bills announced that they have re-signed a pair of running backs. Taiwan Jones and Travaris Cadet are both ticketed to return for 2018. With both players back in the fold, the Bills currently have six running backs under contract. Needless to say, not all of them will be on the team in September. They will, however, duke it out between now and final cuts. LeSean McCoy, coming off of his fifth consecutive Pro Bowl appearance, will be the primary ball carrier for his fourth season in Buffalo. As of this writing, new free agent pickup Chris Ivory figures to serve as his primary backup, as shown on Roster Resource. Marcus Murphy and Aaron Green are also in the mix and the Bills could still look to add to the RB group in April’s draft. In other Bills news, offensive lineman Richie Incognito reworked his contract on Thursday, allowing him to stay with the team. 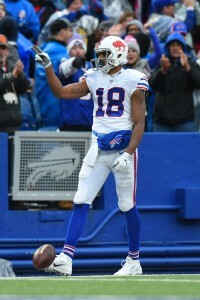 The Bills have lost one of their receivers for the year as the team has decided to place Andre Holmes on the injured reserve with a neck injury, per Mike Rodak of ESPN.com (Twitter link). We learned yesterday that backup running back Travaris Cadet was out for the year as well after suffering an ankle injury in Week 16. The team has also placed him on the IR today. In response to the injuries, Buffalo has promoted running back Marcus Murphy and wide receiver Malachi Dupree from their practice squad. Holmes, 29, was not a huge part of the Bills passing game this season, but still did have his brief moments. Holmes’ best game came against the Raiders in late October when he caught 3 passes for 51 yards and his second touchdown of the season. With the injury, the Bills will continue to use Deonte Thompson and Brandon Tate as backups to Kelvin Benjamin and rookie Zay Jones. Buffalo needs to win in Miami and get some help in Week 17 in order to make the playoffs for the first time since 1999. The Bills are still alive in the playoff race, but will be without backup running back Travaris Cadet for the rest of the season because of a dislocated ankle he suffered vs. the Patriots, reports Aaron Wilson of the Houston Chronicle (Twitter link). Wilson adds that the 28-year-old will have is ankle reset on Wednesday and should be on track to make a full recovery in 12 weeks. The former undrafted free agent had carved out a bit of a role in Buffalo as the change of pace back when LeSean McCoy was off the field. Cadet was cut by the Jets back in October, but quickly caught on with division rival Bills for the past six games. 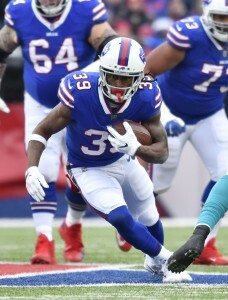 In his sixth season in the league, Cadet caught 16 balls for over 100 yards, while also averaging over four yards per carry during his time in Buffalo. Without Cadet, head coach Sean McDermott will likely rely even McCoy even more to create offense out of the backfield in Week 17. Veteran running back Mike Tolbert is the only backup at the position on the roster, so expect the Bills to either promote practice squad running back Marcus Murphy or bring in a free agent to provide some depth in the backfield. Buffalo must win on the road in Miami next week to keep their playoff hopes alive. Though they also need some help from the likes of the Ravens, Titans and Chargers. The Bills are swapping running backs. 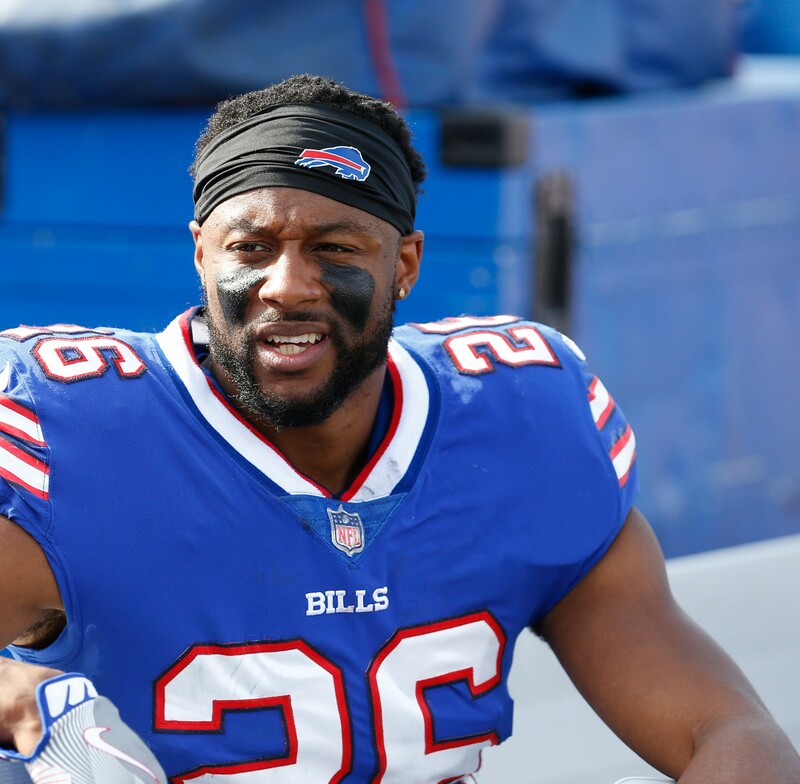 Vic Carucci of the Buffalo News reports (via Twitter) that the team has signed Travaris Cadet and placed Taiwan Jones on the injured reserve. We learned earlier this week that Jones had a broken arm and would miss the rest of the season. Jones joined Buffalo this past offseason, and after compiling 829 return yards in 2015, the team was expecting the 29-year-old to contribute on special teams. However, the former fourth-rounder only returned a pair of kicks this season, and he hauled in a lone 11-yard reception. Cadet was signed by the Jets in late September, but he was ultimately released by the team last week. The 28-year-old saw the field in three games this season, compiling three receptions for 26 yards. The veteran could conceivably play a similar role as Jones, as Cadet has plenty of experience in the return game. He’ll slot in behind LeSean McCoy and Mike Tolbert on the running back depth chart. The Jets have released running back Travaris Cadet, according to ESPN.com’s Adam Schefter (on Twitter). Cadet was signed late last month to help provide depth in the wake of an injury to Matt Forte. Cadet’s run with the Jets ideally should have ended when Forte returned to the lineup, but Bilal Powell suffered a calf strain just as Forte recovered from turf toe. Now, Powell is finally healthy, giving the Jets three healthy backs when including rookie Eli McGuire. Cadet, who was on the field for just 13 snaps in three contests, has been displaced. His partial season with the Jets ends after three receptions for 26 yards plus three rushing yards. With both of their top running backs now healthy, the Jets will look to get back to their winning ways on Sunday when they face the Falcons in New Jersey. With a win, they’ll return to the .500 mark. The Jets have signed Travaris Cadet, as Ian Rapoport of NFL.com tweets. Cadet will help fill the gap with Matt Forte likely to miss Sunday with a toe injury. Cadet auditioned for the Jets on Tuesday, along with former Chiefs running back Knile Davis. Cadet, apparently, made a stronger impression on the Jets and his pass-catching acumen probably has a lot to do with that. The 6-foot-1, 210-pound tailback has only 26 carries and 84 rushing yards for his career, but he has done some damage catching passes out of the backfield. Over the years, the 28-year-old has caught 102 receptions and scored seven touchdowns through the air. Last year, he set career highs in catches (40) and receiving TDs (four) with the Saints. After an upset win over the Dolphins, the Jets will look to keep things rolling against the Jaguars at Metlife Stadium.